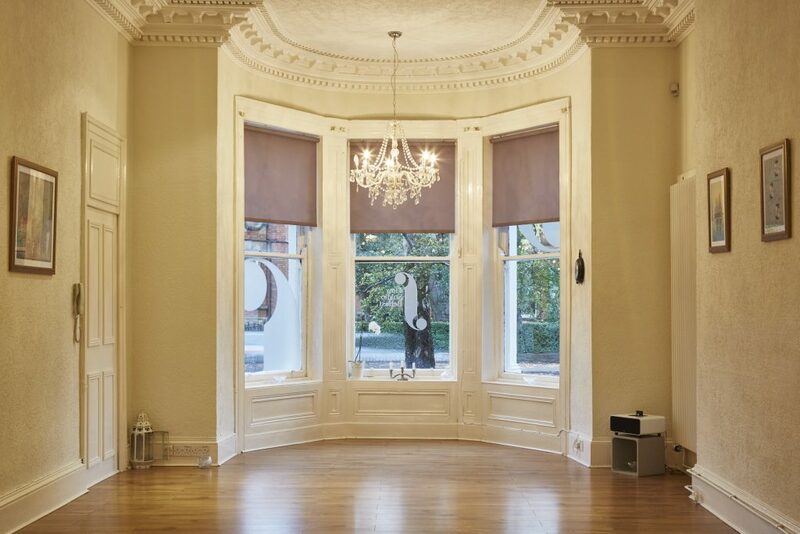 We have two rooms available to hire in our 51 Malone Road, Belfast premises. Our Main room for up to 50 people for events, workshops and classes and our Meeting Room for up to 10 people. 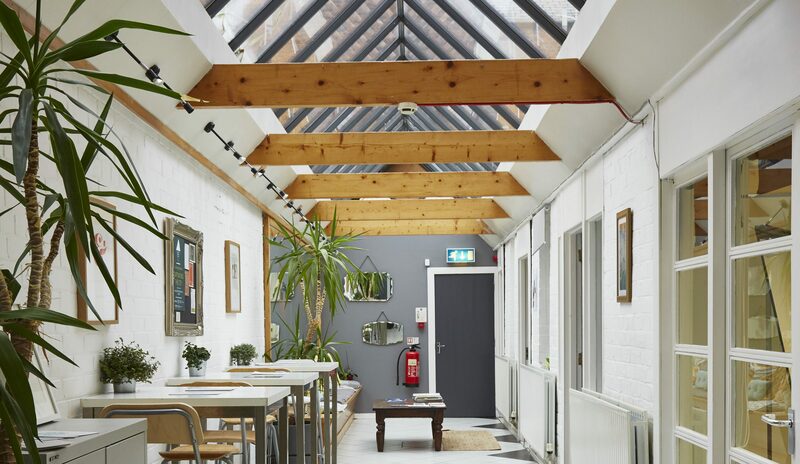 Both rooms are situated off our lovely glass roofed atrium which can be used to gather for events or as a breakout space during events. This room is best for classes and workshops, rehearsal space, large meetings, lectures and talks, as well as launch events, training and demonstrations. The room can be set up with or without furniture and plasma screen and free wifi is available throughout. This room seats 15 as a Boardroom, 30 as a Lecture Theatre, and about 50 people standing. Please contact us for evening and weekend prices. Our Meeting Room is configured in a boardroom layout and can seat up to 10 people. 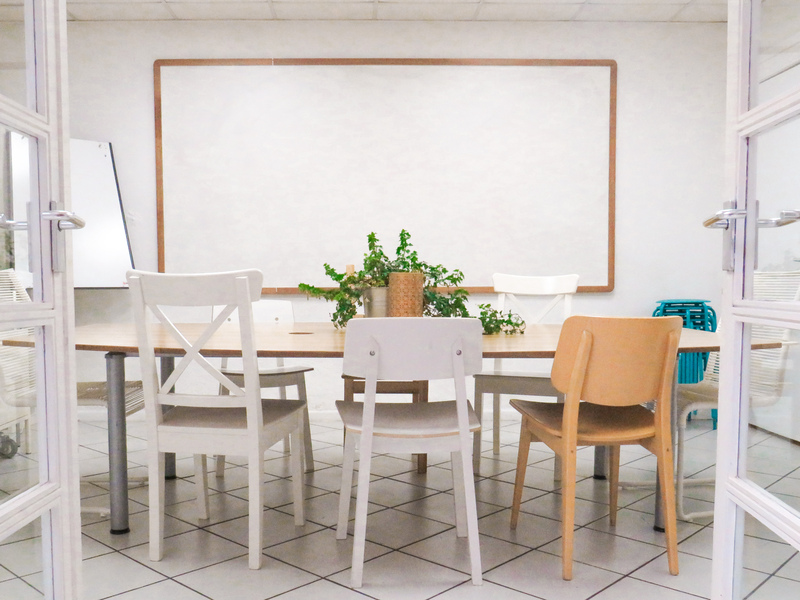 This room is perfect for teaching one on one or small group classes, small meetings, presentations and interviews. There is also a plasma screen available to use for a small fee and free wifi available throughout. Please contact us for weekend prices. You may hire additional equipment whilst using our facilities, please ask for further information on prices. Blick Meeting and Event Space accommodates a variety of businesses, charities, voluntary organisations, facilitators, trainers, private tutors, educational bodies, artists, therapists and recreational clubs with meetings, conferences, courses, exhibitions, demonstrations, gigs, promotions, launches, workshops, yoga, dance and more! We have over 10 years experience providing room hire services for creatives, We know what we are doing and can be relied upon to provide a professional service as well as being friendly and approachable. Our spaces have been designed by creatives and offer beautiful spaces for events and workshops within buildings with character and charm. We aim to keep our services as affordable as possible so don’t offer free coffee/tea/ additional perks just try to offer really good service in nice spaces with nice people.